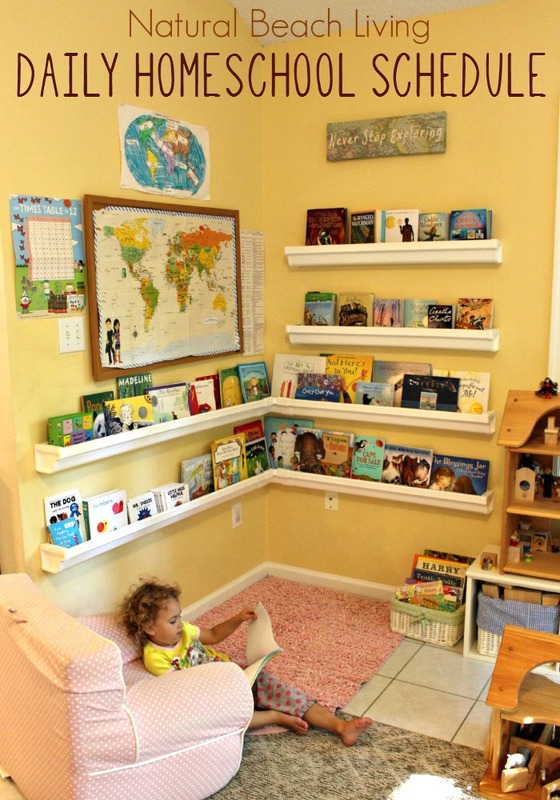 I can’t think of many things that are better then incorporating fun hands on learning activities with great books. 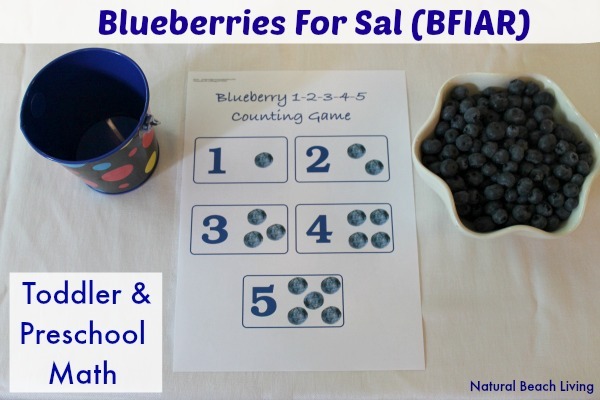 So for today I am sharing an exciting week of learning activities to go with the book Blueberries For Sal. 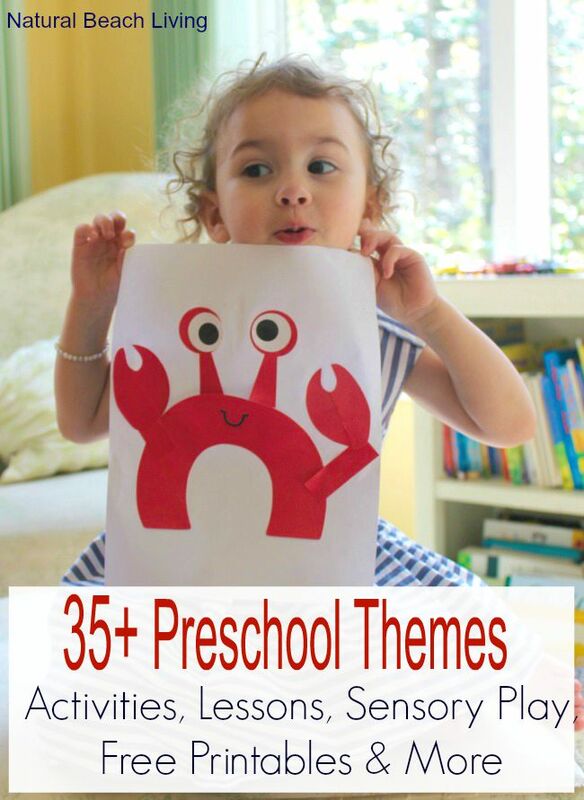 We love this book and I am sure it will be a favorite in your house too. If you haven’t painted with blueberries(a.k.a. pom poms) you are missing out 😉 This was such an easy activity and the kids love it. In a dish or bowl add a couple of drops of blue watercolors to a couple tablespoons of water and viola, happy washable painting. We also enjoyed our blue dot stampers. This made learning the letter Bb so much fun. 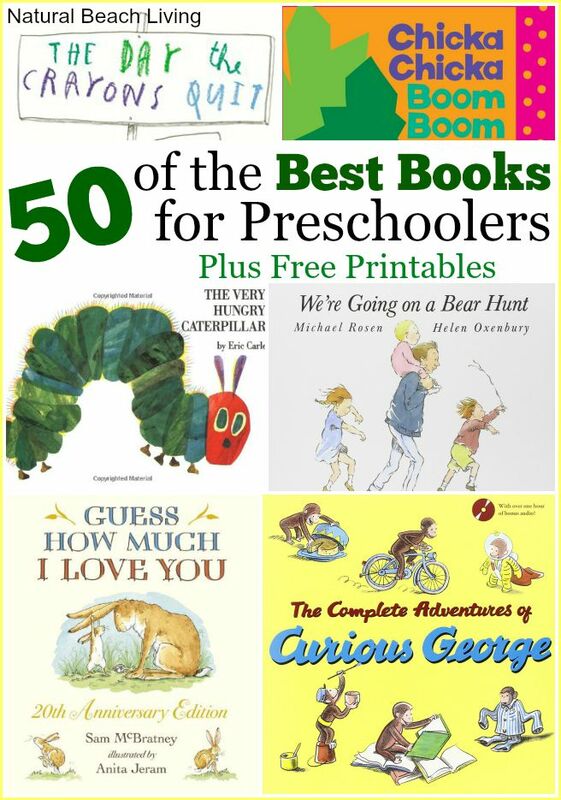 If you aren’t familiar with BFIAR, it is a great curriculum which incorporates reading classic literature to your children and hands on learning activities. 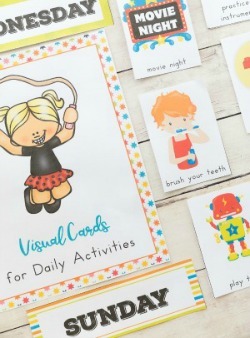 The skies the limit with what you can come up with… The printables you see here can be downloaded from their website. 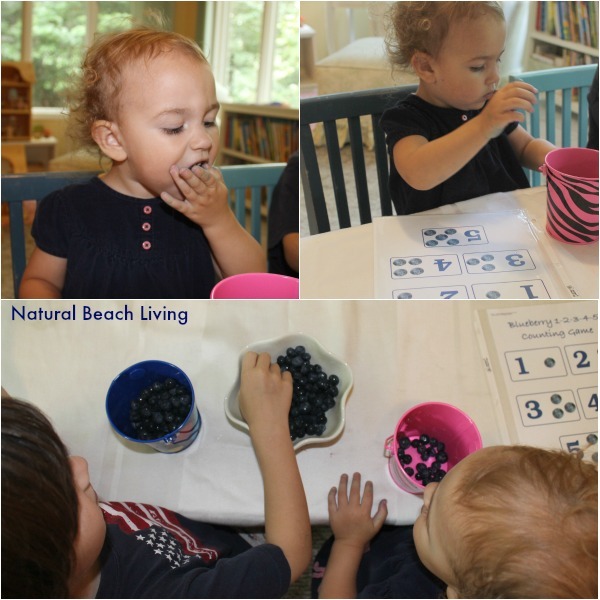 First we used our senses and like the book we listened to the sound the blueberries made while we dropped them into our tin buckets. Did our blueberries kuplink, kuplank, kuplunk? 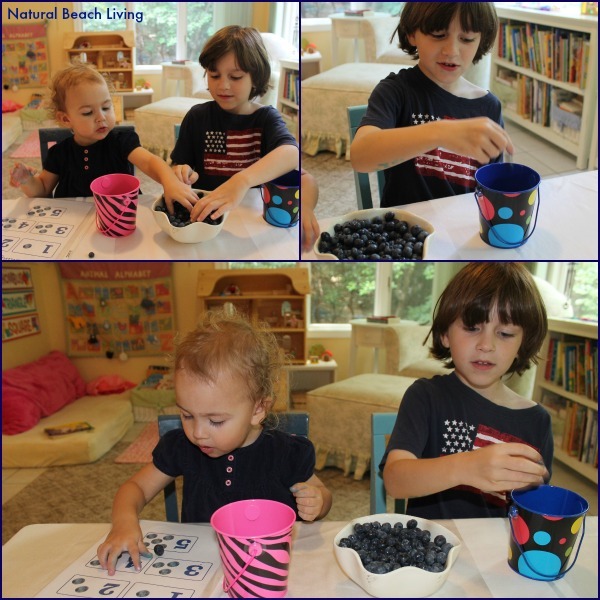 As they counted their blueberries, they enjoyed eating several of them too, just like Sal. I made sure to buy a lot of blueberries this week because we also enjoyed making fresh blueberry pancakes together. You can find several healthy recipes here. 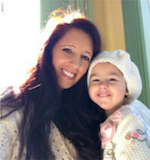 Originally I had planned to take the kids blueberry picking (great idea if you have some place close) We had unexpected guests so we weren’t able to get there this year. 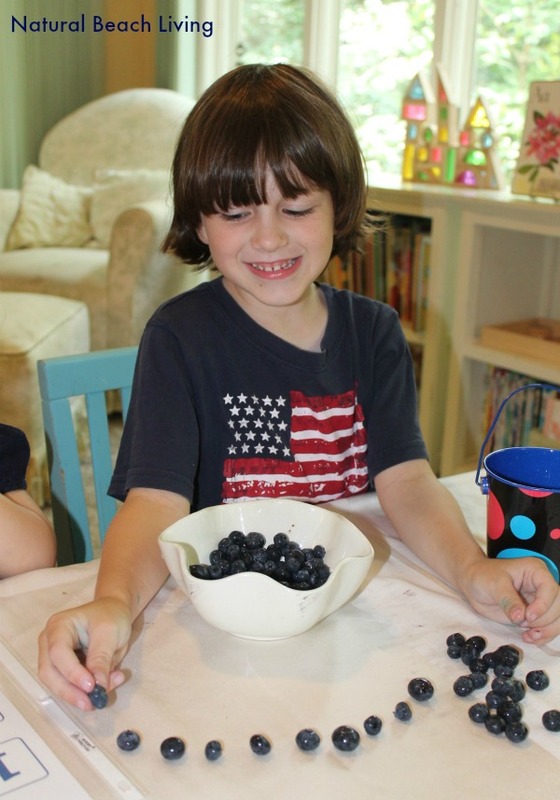 We still had a wonderful time with our farmers market berries. 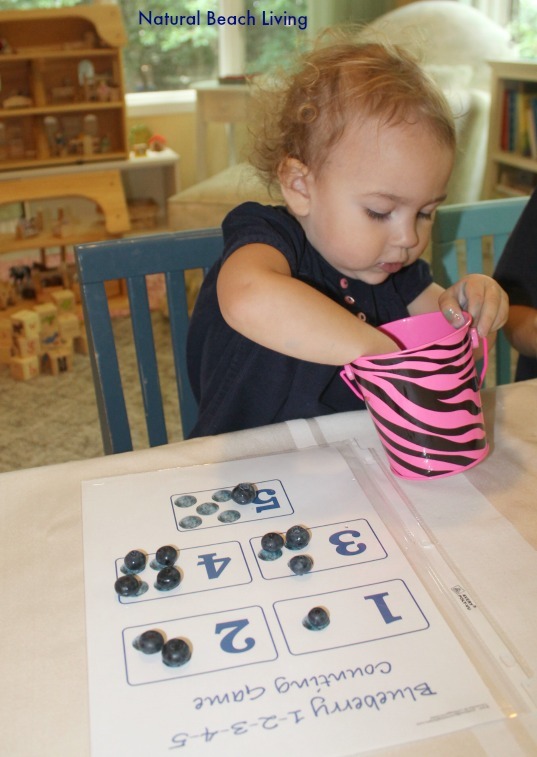 Little B loved lining up and counting all of the blueberries. Bells loved counting and eating. This girl loves some blueberries. We enjoyed part of the poem Blueberries by Robert Frost (I only read them a snippet of it) it’s rather long for them, but I enjoying adding other books and poetry into our week. 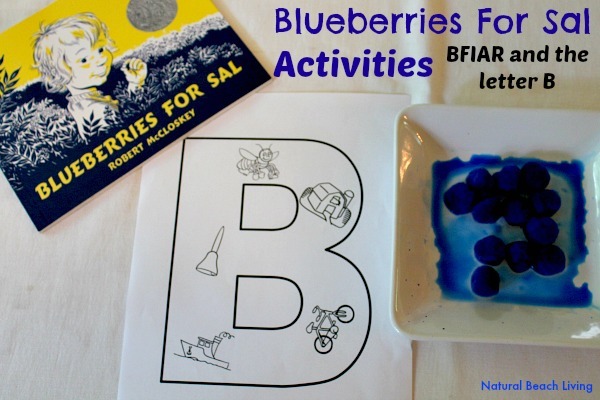 Blueberries For Sal is such a great book and there are so many things that can be explored and incorporated into your everyday living and learning days. Towards the end of the week we moved on to talking, reading and learning about bears. 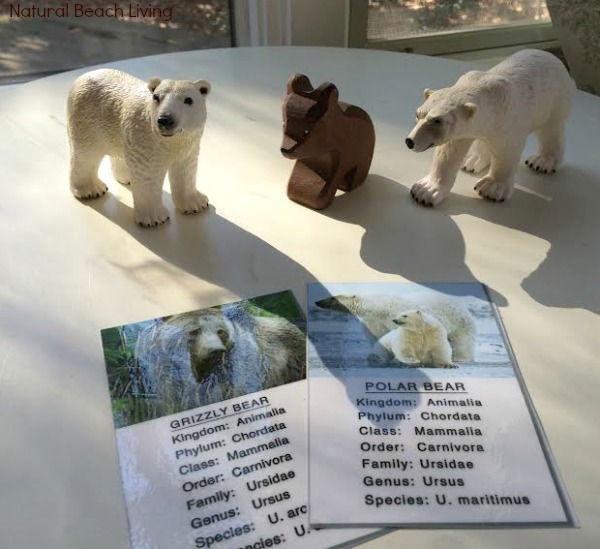 We learned about the different types of bears, we looked at bear tracks, read bear books and talked about hibernation. What a great week. 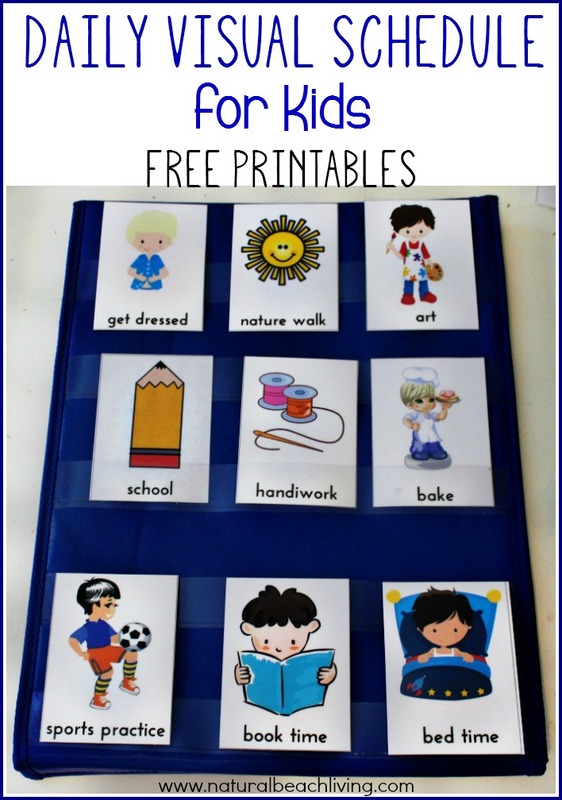 Homeschool Creations also has a sweet pack of free printables for Blueberries For Sal and you can check out many other BFIAR ideas on my Before Five In A Row Pinterest Board. You can see our other BFIAR and FIAR Activities by clicking HERE.